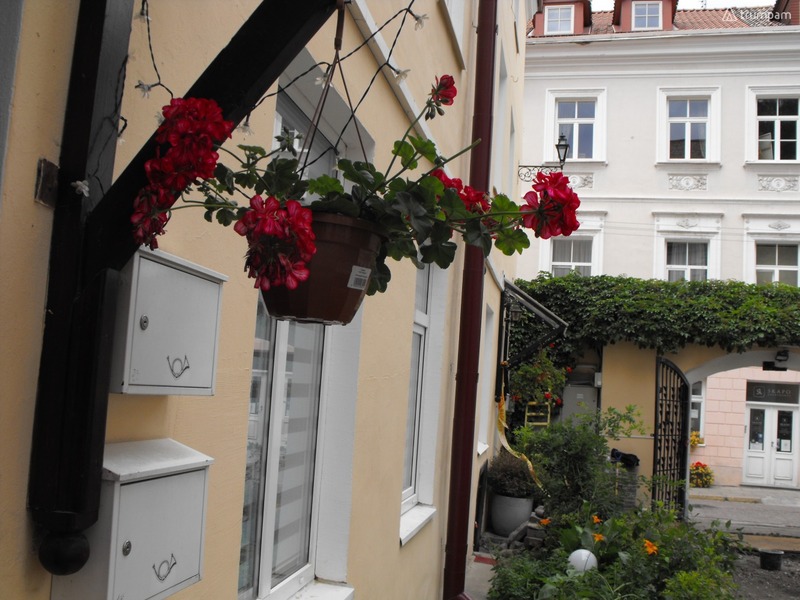 Very cozy apartment in the Old Town of Vilnius next to the presidential palace and Pilies street. 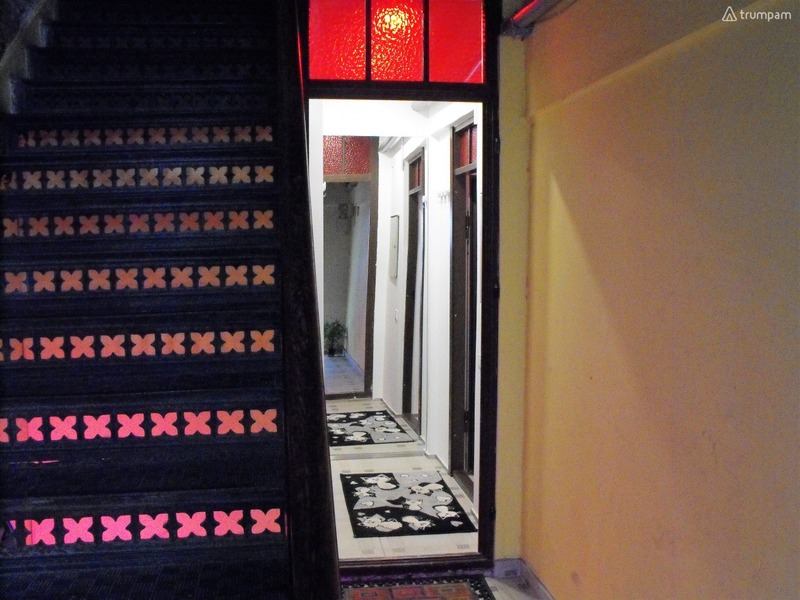 The apartment is located in a historically valuable house, which is included in the National Register of Cultural Heritage as an important architectural monument of late classicism. 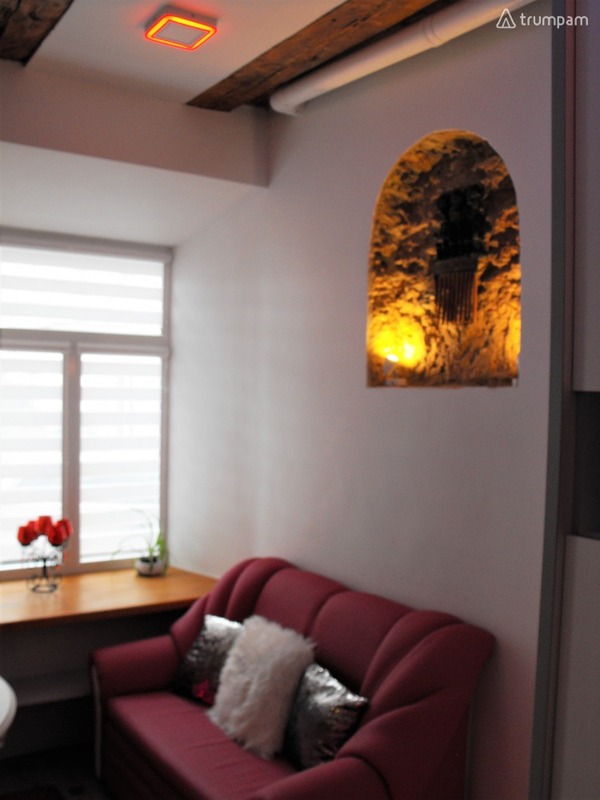 This original designer apartment has its own private courtyard, where you can park your car. 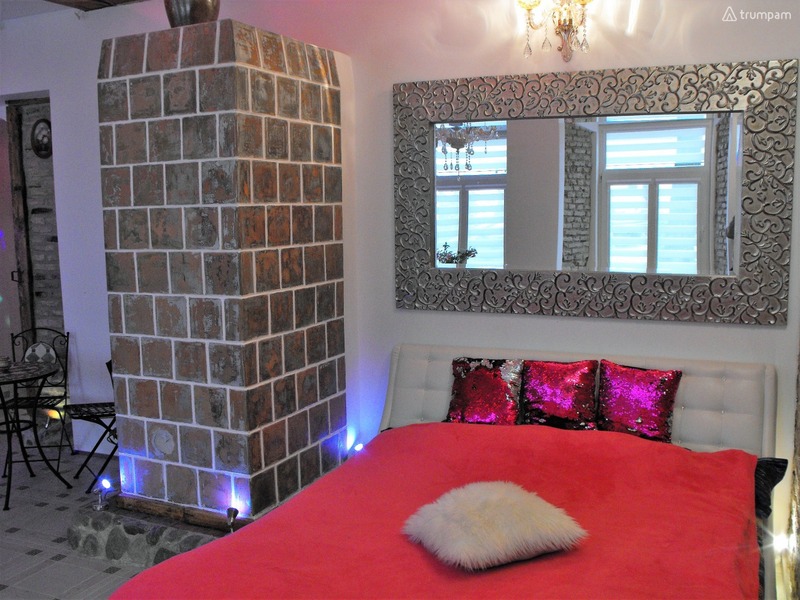 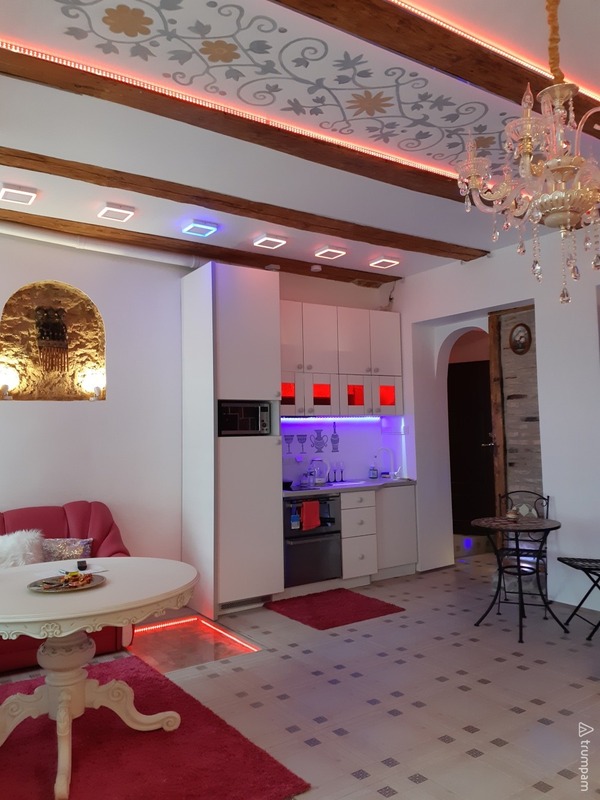 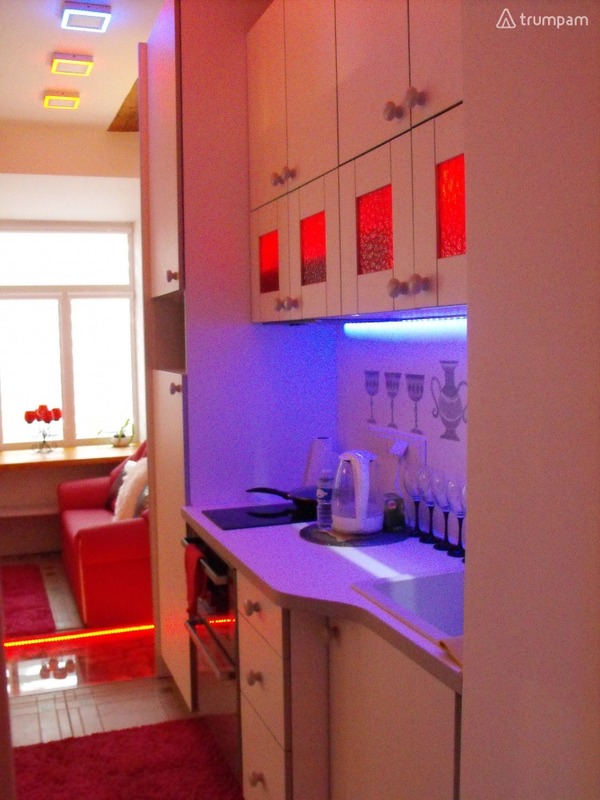 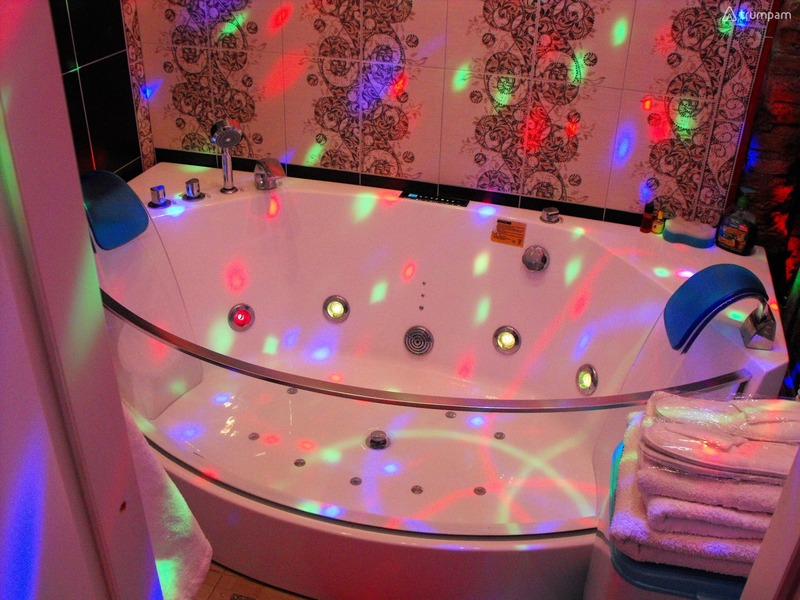 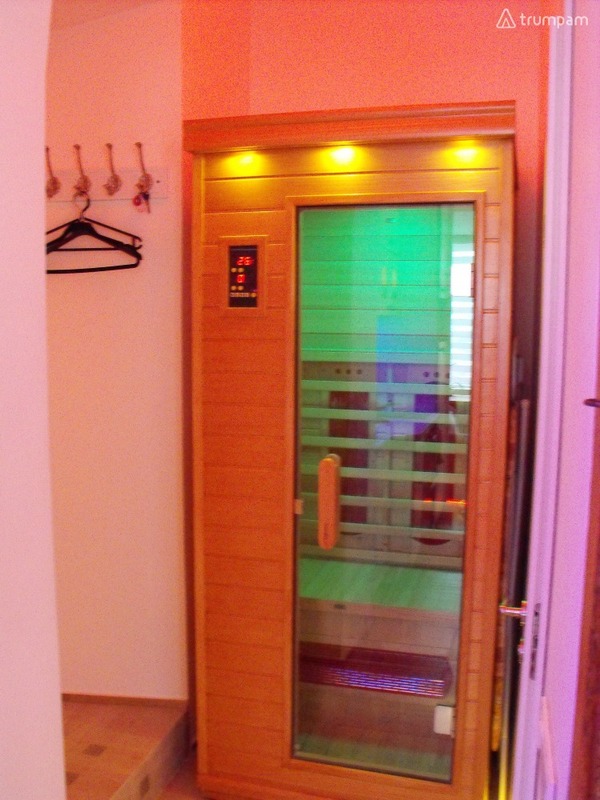 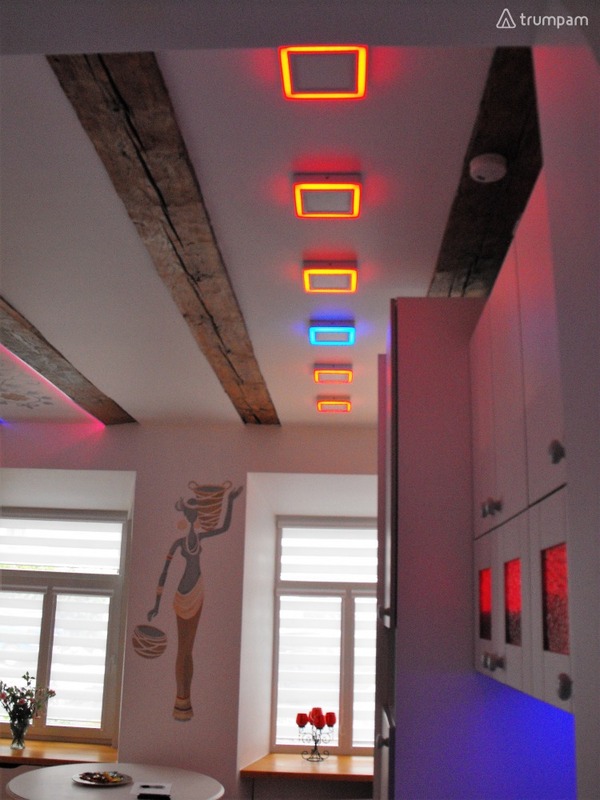 The apartment has a kitchenette, floor heating, Jacuzzi, sauna (for extra payment), multi-color LED lighting, internet connection, television. 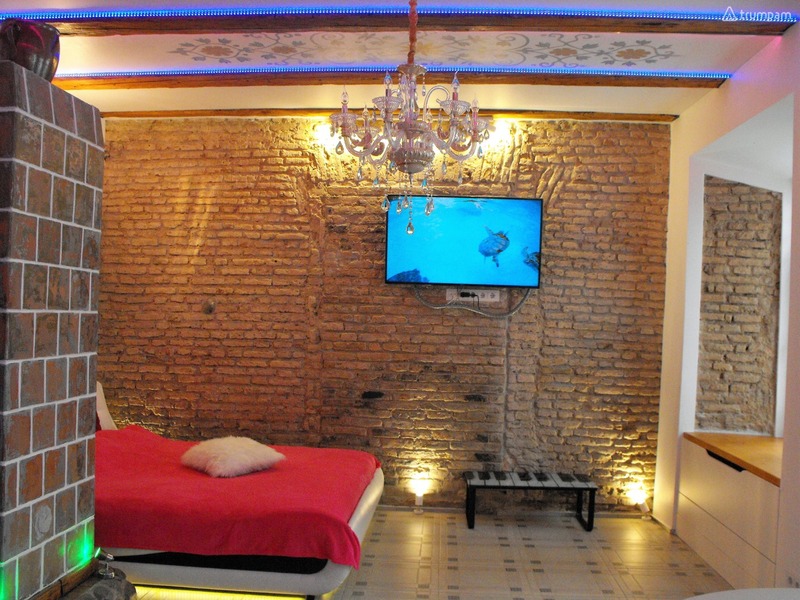 The exceptional character of the apartment is emphasized by the original decor of the wall (frescoes), fragments of the walls of the house are exposed, remembering for more than one century. 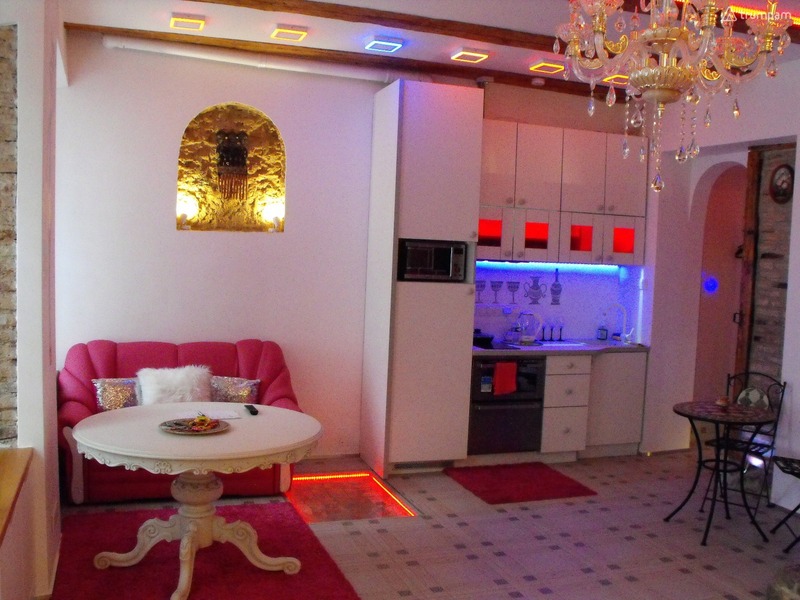 The rental price is from 45 euros per day, as well as for rent per year or more than 1150 euros per month. 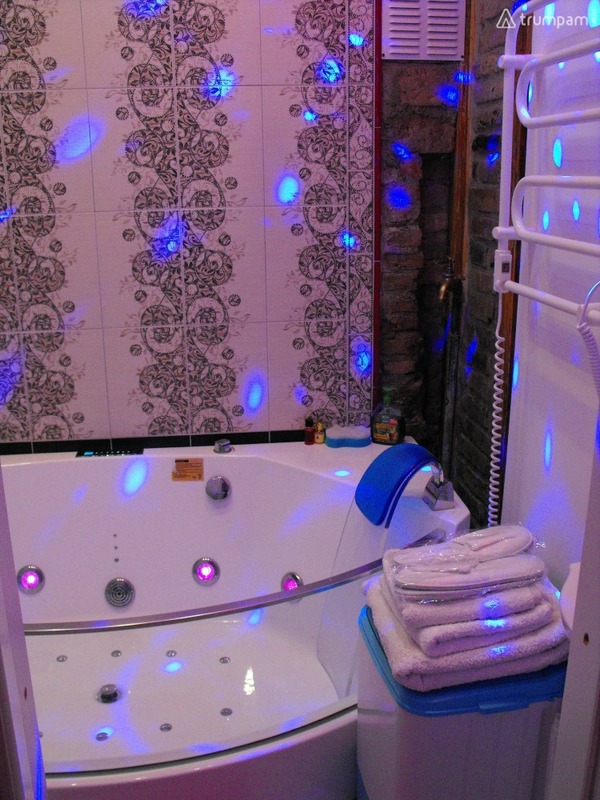 The price includes all utilities and service charges. 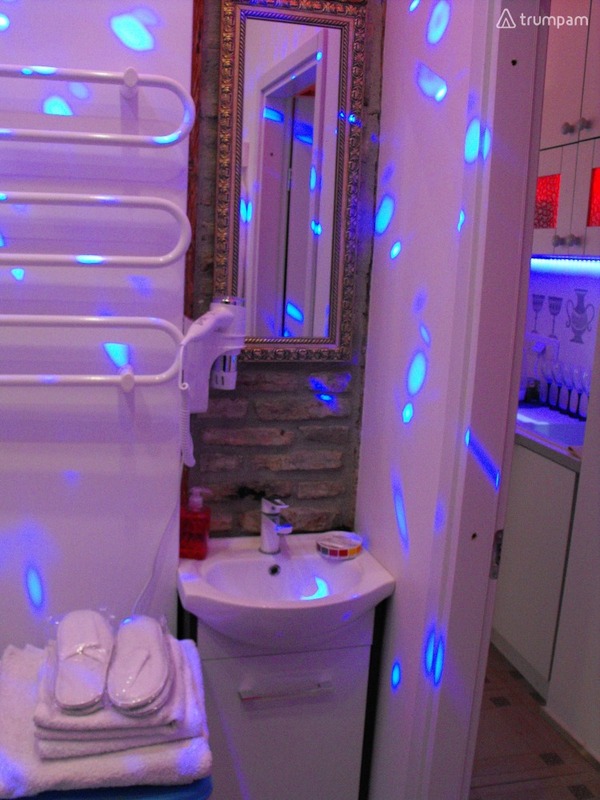 Once a week the apartment is cleaned, bed linen and towels are changed.